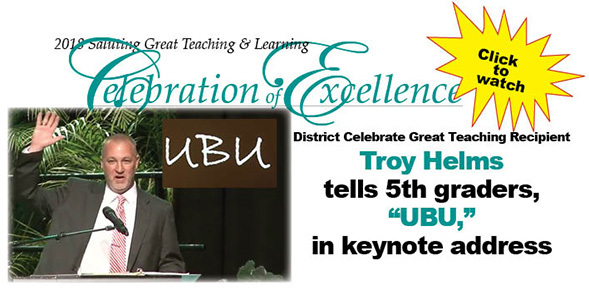 Troy Helms – the 2018 District Celebrate Great Teaching recipient – gave the keynote address during the celebration for fifth graders with All- A’s through during Grades 2-5 and for Junior Scholars. Click here to watch Troy’s presentation. Troy teaches agriculture at Buford High.